"In the part of this universe that we know there is great injustice, and often the good suffer, and often the wicked prosper, and one hardly knows which of those is the more annoying." When things happen to us we have a tendency to compare them with things that have happened to us in the past or things that have happened to others. I guess I find this type of comparing to not be very helpful. Even comparing myself to the person that I think that I should be is sometimes a bit discouraging. Perhaps the best form of comparison is the one we make with the past? Am I a better person today when compared with the person I was yesterday? Very true. But I am not sure if some are more prone to compare than others. And would there be a healthy and unhealthy kind of comparison. And what about overdoing it. 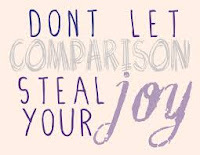 I think the only person we should compare ourselves to is Jesus, since we are commanded to imitate him. 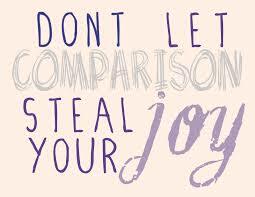 But that too need a healthy kind of comparing because we can never ever compare to him.